Tired of eating the same old thing for lunch every day? 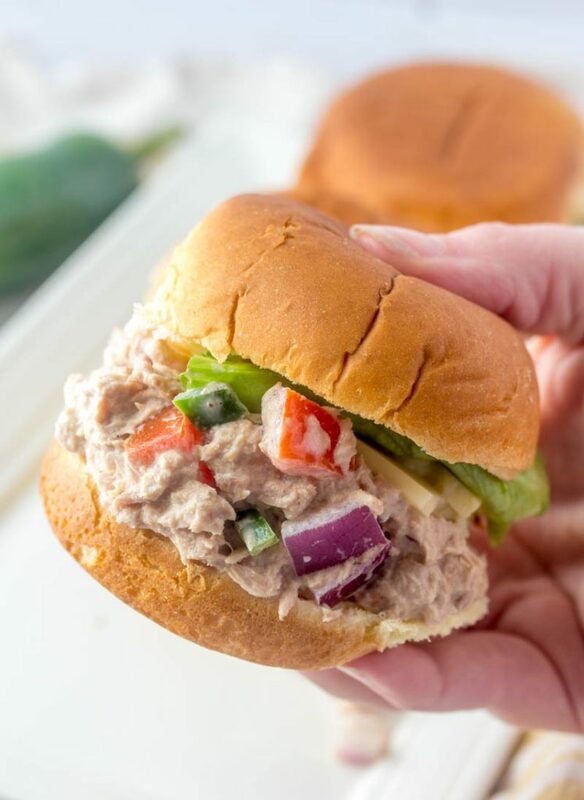 Look forward to lunch again with these quick & easy, relatively healthy Fiesta Tuna Salad Sliders. Chock full of fresh veggies, with a little kick from some fresh jalapeno peppers, they’re the perfect way to add a little ‘ole’ to your day! Meat isn’t always essential to a hearty Mexican style meal, and these vegetarian Spicy Rice & Bean Burritos are the ultimate proof. 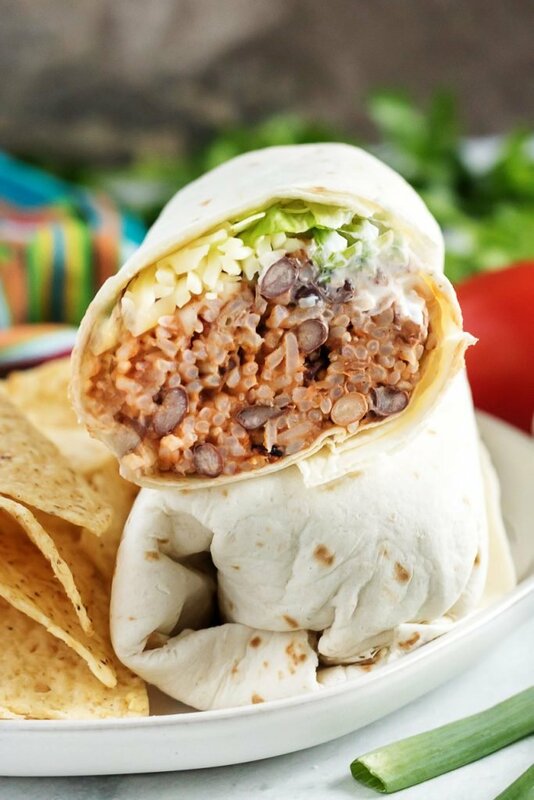 Stuffed with a hearty seasoned rice & bean mixture, these burritos will fit any menu. Did you ever start to make sloppy joes and halfway through realize you didn’t have hamburger buns on hand? Yep. Totally happened to me you guys. (And, sadly I can’t say this is the first time either. Don’t get the sons started on how many nights we’ve had to have bunless hotdogs and hamburgers.) 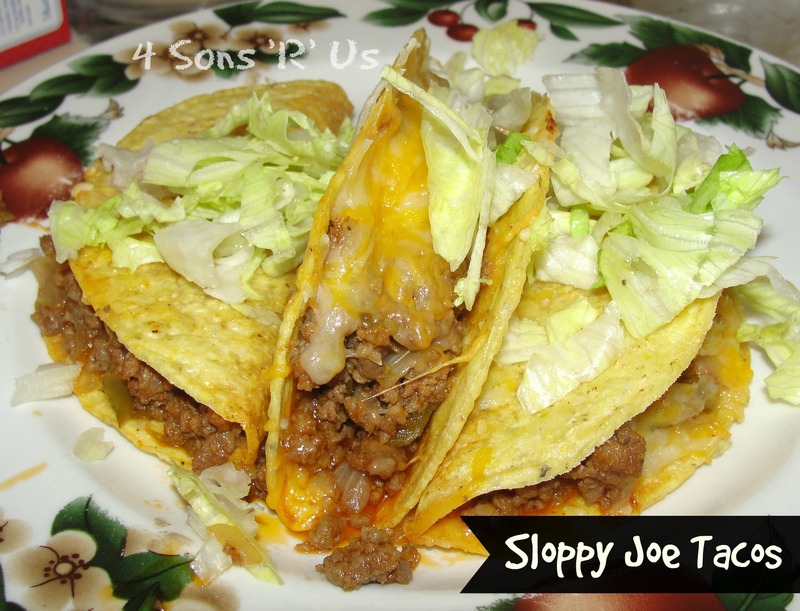 And so sloppy joe tacos (what??!) it was. I was weary that this would just end up tasting funky, but it didn’t. It is everything you love about a sloppy Joe along with the comfort of taco shells and all the fixins. Now: calling all napkins!!! Who am I kidding?! Forget the napkins. I just need a hose. Especially with all four sons in the house eating these. For real! Seriously though… they rock. Grab a bib (and a hose) and dig in! 1. Brown and drain ground beef (or turkey). Place cooked meat back into skillet and saute the onions and pepper until onions begin to turn clear. Add in the ketchup, brown sugar, mustard, and garlic powder. Cook until heated through, about 10 minutes. Add salt and pepper, to taste, and remove from heat. 3. 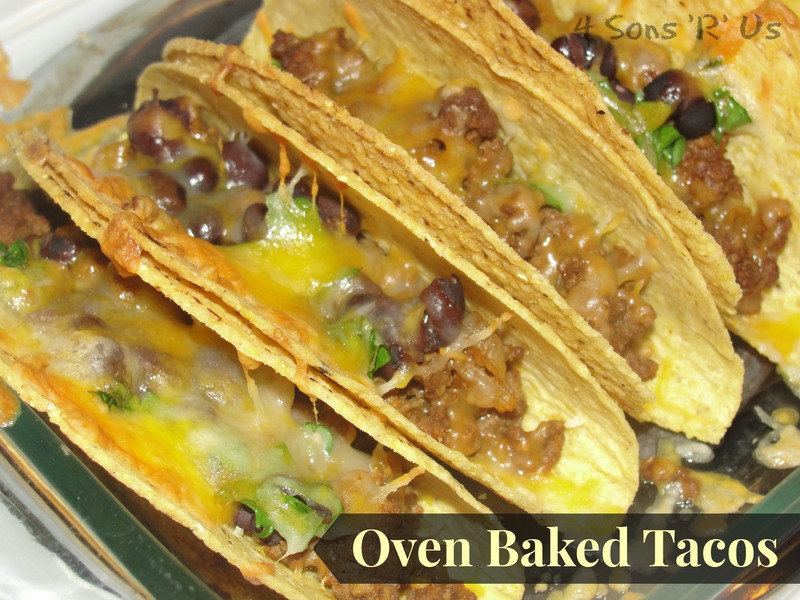 Line taco shells in a 9×13 pan and evenly divide the meat mixture in the shells. Sprinkle with shredded cheese, and place it in the oven for 5-7 minutes, or until cheese is melted and shells are warm. Divide lettuce evenly between taco shells. This is our new favorite taco seasoning. The combination of ranch and taco flavors reminded me strongly of cool ranch Doritos. 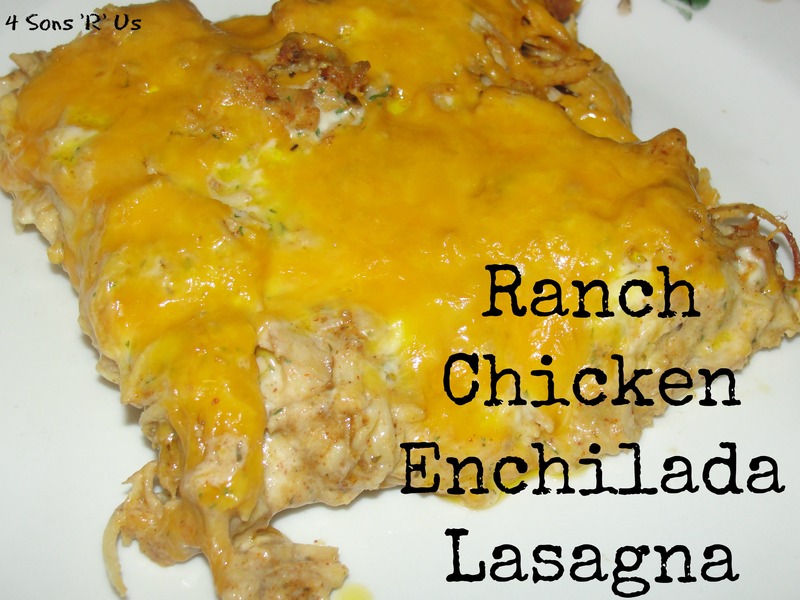 Fill your shells with the cooked chicken and top with your favorite fixin’s. We kept it pretty basic with just cheese and lettuce. Mine had diced tomatoes as well, but the sons and the hubs detest the red fruit with a burning passion. Makes no sense to me, but whatever floats their boyish boats. Top each ‘filled’ taco with a drizzle of ranch and chow down. Don’t stop at just tacos either, this goes great on tortillas, toastadas, or even over salad. Just seeing them again has had me thinking about them all morning. Seriously, I can’t get them out of my head. Guess I know what we’ll be having for dinner tonight! 1. Heat a skillet over med-high heat. Add chicken & warm it for a few minutes. Sprinkle on the dry taco seasoning. Do not add any water! Heat for 5-7 minutes until the chicken is heated through & the powder is stuck to the chicken. 2. Add Ranch dressing, heat an additional 2-3 minutes to warm through. 3. Serve in taco shells with all the fixings you love – plus an extra drizzle of Ranch. It doesn’t get any easier, or any tastier, than that! As I’m preparing for dinner the other night, I asked Son # 3 to hand me a can of black beans. He proceeds to root around through the canned bean cubby in the pantry. Son # 3: Mom, why did you buy garbage can peas?!?! Son # 3: (holding up a can with a look of utter disgust) Garbage. Can. Peas. Me: Read that again. It says garbanzo beans. Son # 3: Oh. Well they still sound gross. You can’t make this stuff up people! 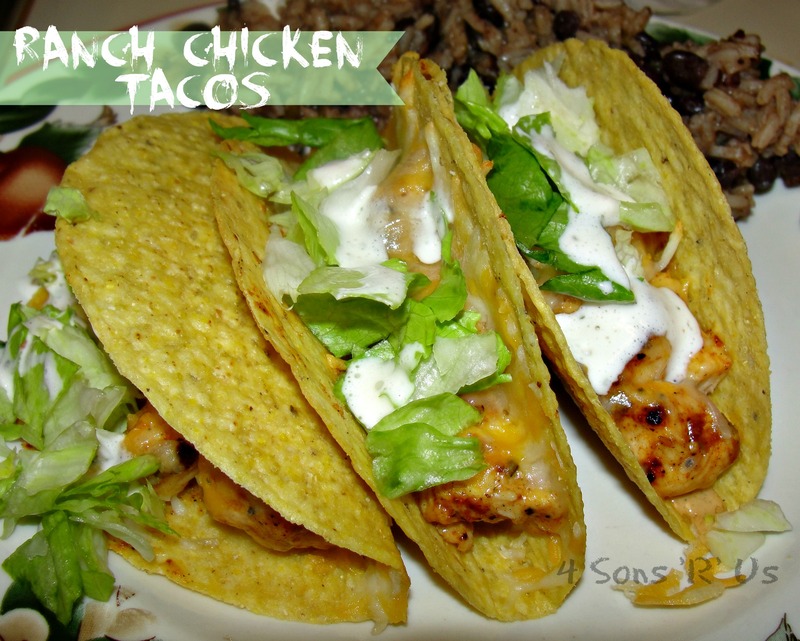 This was a fun new twist on our regular tacos. Usually, when I make tacos I bake the taco shells separately in the oven for 10 minutes so that the shells are crispy. When you add the ground beef and beans to the picture it’s a whole new story. They’re this perfect mix of crunchy and soft in all the right places. If you want to ensure an even crunch over your entire shell surface area, let more of the liquid evaporate out of your meat mixture. I topped my tacos with chopped roma tomatoes, taco sauce, and some lettuce. Sour cream, salsa, & guacamole were served on the side, because those are Mexican must-have for us. And, of course, no Mexican night is complete for us without some yellow rice. Everybody was happy. All tacos were served toasty and everyone’s cheese was melted to perfection before adding the toppings of their choice. Don’t like pre-made hardshell tacos? That’s ok, too. You can easily sub flour, or even corn, tortillas in instead. Who knew oven-baked tacos were the way to go?! And for those of you with an eagle eye, we can all just ignore the dirty burners. While they stay on the proverbial to-do list, I’ll be honest in saying they only get cleaned twice once a year. 1. Brown ground beef and drain. Return to pan. 2. Add taco seasoning, beans and tomato sauce. 3. Stir to combine and then heat until the flavors have blended. 5. Spray a 9×13 baking dish with oil. 6. Spoon taco filling into taco shells and stack them side by side in a pan. 7. When shells are filled, top each with shredded cheese and cilantro, if desired. 8. Bake for approximately 15 minutes, watching so they do not brown much. 9. Serve and top with remaining ingredients, if desired. The great thing about this dish? 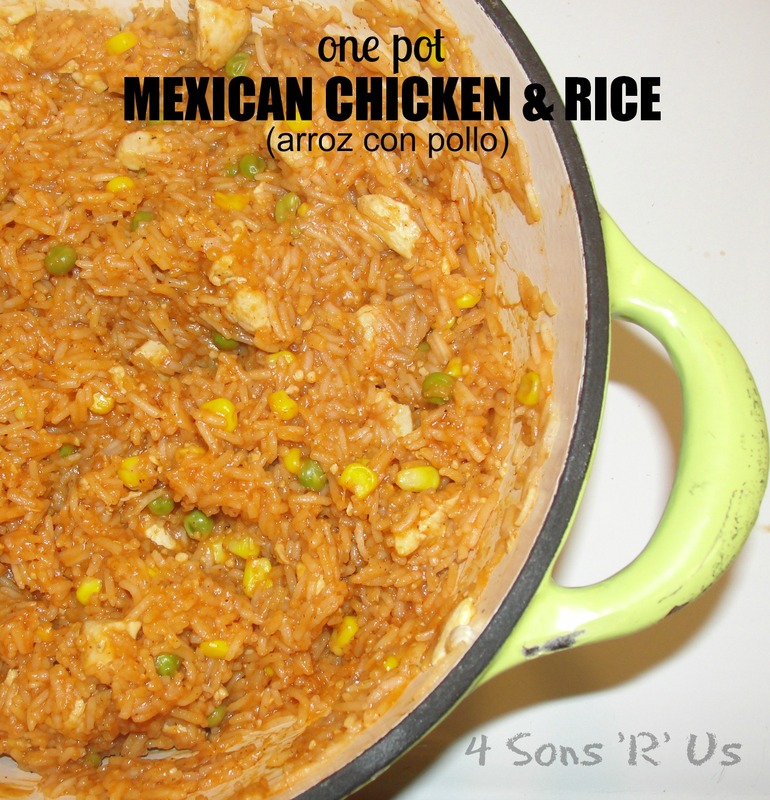 (I mean besides the incredibly tasty flavors) It can all be made in one pot. All of it. Rice and all. It’s like magic. Dinner magic. One pot to dirty, one pot to clean, one delicious meal to consume. And if I haven’t convinced you yet… it’s quick. Super quick. Less than 30 minutes quick. Don’t believe me? Here, let me walk you through it. Cook chicken –> stir everything else in –> let cook 20 minutes –>DONE. Piece. of. chicken & rice. cake. 1. Cut chicken into one inch pieces and season with salt & pepper. Heat olive oil in a skillet over medium heat and add chicken. Cook until just barely browned, but not cooked through. 2. Add one cup of long grain white rice and saute for one minute. Add remaining ingredients, stir, and bring to a boil. 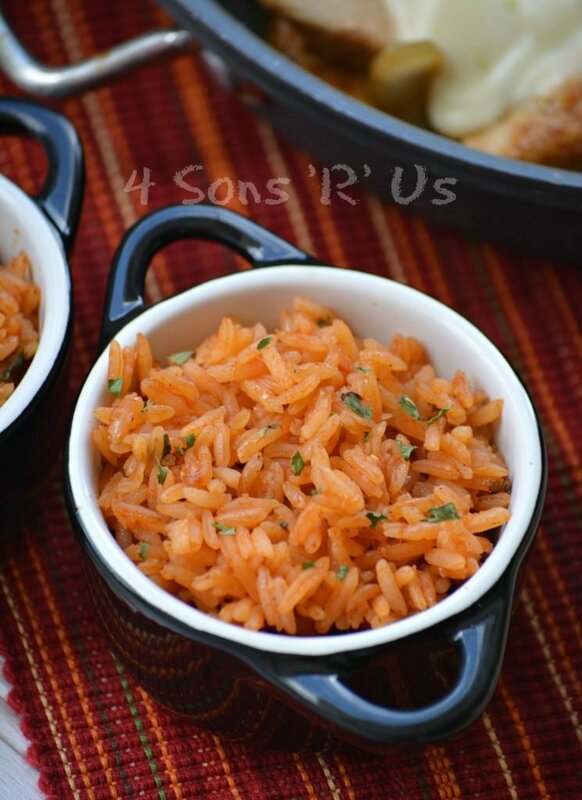 Cover and reduce heat to low for about 20 minutes or until rice is tender and fluffy. If there is still liquid in the pan, uncover and simmer until the liquid is reduced. Every week I try to do a ‘Taco Tuesday’ since we all love ‘Mexican’ food. It’s evolved into more of a ‘tex-mex’ themed meal as opposed to being just the traditional tacos. 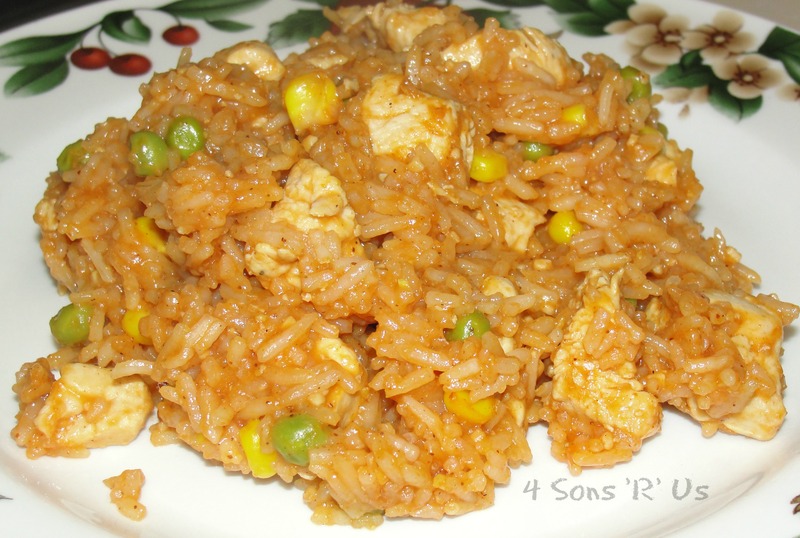 One thing my kids always, unanimously, ask for on Tuesday’s is this Yellow Basmati Rice. 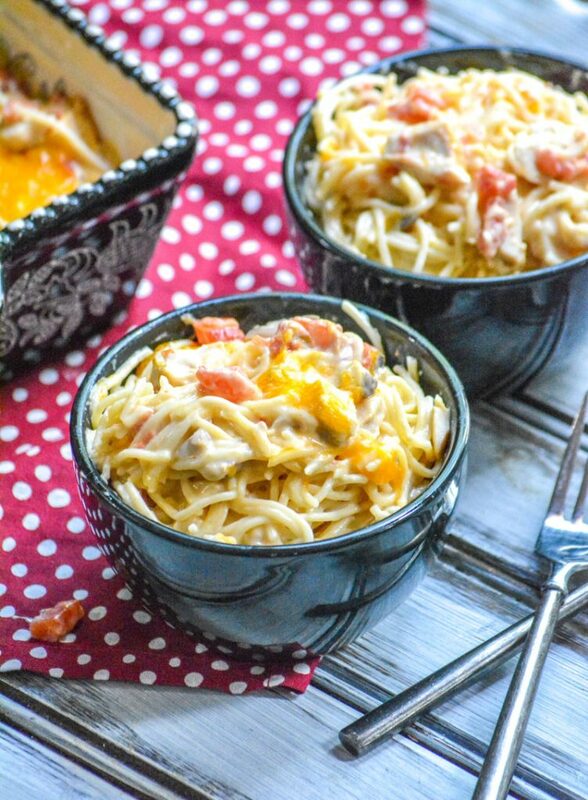 A new spin on the classic pasta dinner, this Cheesy Mexican Chicken Spaghetti is a creamy pasta casserole with a Tex Mex spin, and a delicious, melty cheddar cheese topping.